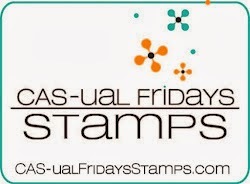 Happy Wednesday and Happy CAS-ual Fridays Stamps November Sneak Peek #3! 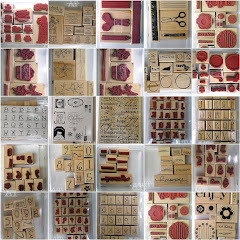 We've already had two great new stamp sets shown so far this week, but this is my favorite because it's texty goodness!! Swoon! I love everything texty! 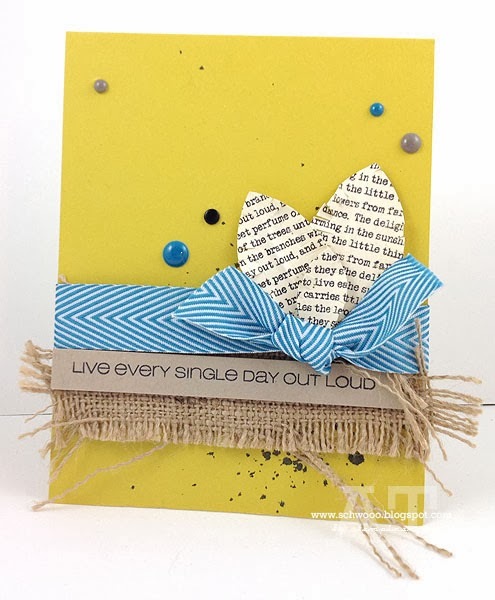 This new set is called Out Loud and it has 4 text blocks in different fonts and 2 sentiments in different fonts. This set is so versatile, I know it'll be a "go to" set for me constantly! For my card today I used the text to create little feathers. I'm crazy mad about feathers right now! And texty feathers are the best! :) I should have 'spiked' my feather edges out a little better, it's kind of hard to tell in the photo. I also branched out with a bright color this time! lol! Shredding that burlap ribbon was really fun too! hehe! This is so pretty! I just love it! Totally LOVE this, Angie! The added texture, the layers and the colors...perfect in every way! Love this card Angie Bangie!! !